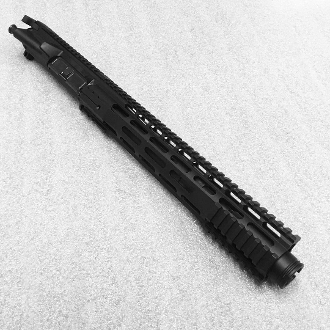 Make your pistol build stand out with this unique upper. 12" rail with a flash can slightly hidden underneath give it a cool look. Bcg, charging handle, other options available. Photo shows a charging handle but it's not included unless you select it from the menu.